Eye MD EMR Healthcare Systems is an application designed by ophthalmologists specifically for Ophthalmology to improve clinical workflows, functionality and practice efficiency. 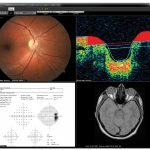 Eye MD provides Electronic Medical Record (EMR) and DICOM Imaging software for Ophthalmology that can be integrated by any Practice Management (PM) software that supports HL7. 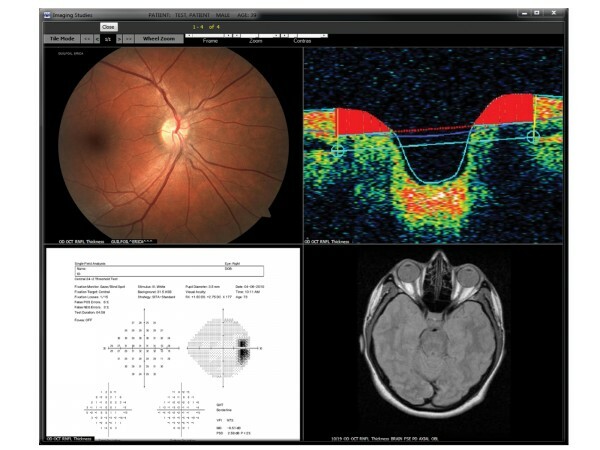 Eye MD EMR increases productivity and saves time through its simple and intuitive user interface. It improves clinical effectiveness by providing efficient workflows throughout the patient visit. Eye MD Fast Plan feature helps physicians by automatically creating treatment plans based on specific diagnostic codes. These coding tools also assist in generating appropriate level of service by helping in billing code selection. Eye MD EMR enables opticians to perform inventory and track fulfillment with its comprehensive optical system. 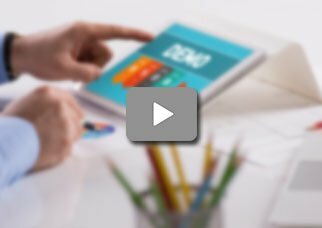 Eye MD’s FlexSys provides an ultimate solution for its users to manage their patient history, optical orders, prescription history, barcode inventory control, contact lens inventory, lab order management and financial reporting. 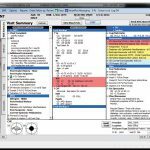 Eye MD EMR provides necessary charting tools and templates to make charting easy and unproblematic. Eye MD can be integrated with diagnostic devices which allow images to be viewed on handheld devices for thorough observation and assessment. This can further assist in documenting diagnosis and eventual treatment for future progress reports. One of the most useful features in Eye MD EMR is its Visit Summary that enables physicians to receive automated visual alerts of any patient’s abnormal conditions. 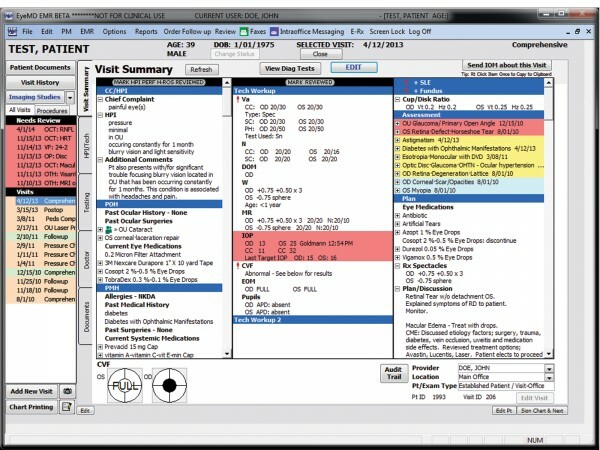 Information from multiple visits of a patient are collected and consolidated as well. Visit History Tools enables staff to view, analyze and compare patient findings, past medication history, access diagnostic tests and their results. It is suitable for any sized practice be it a solo practitioner, multi-location provider groups or hospitals.